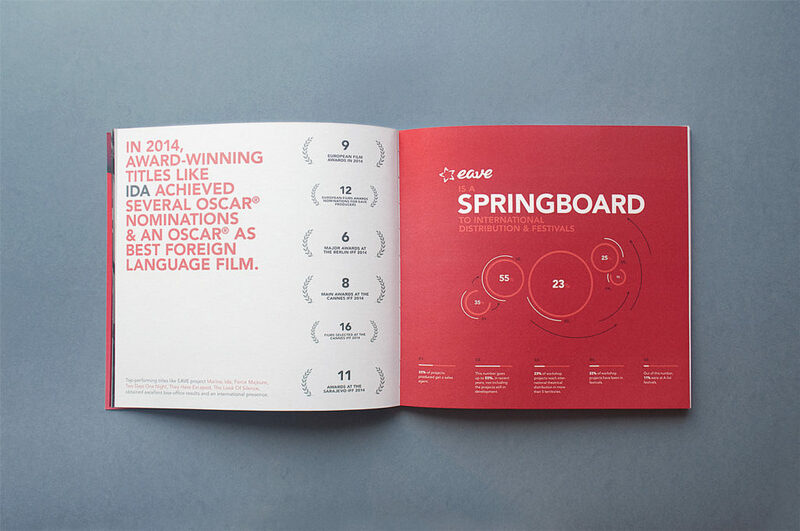 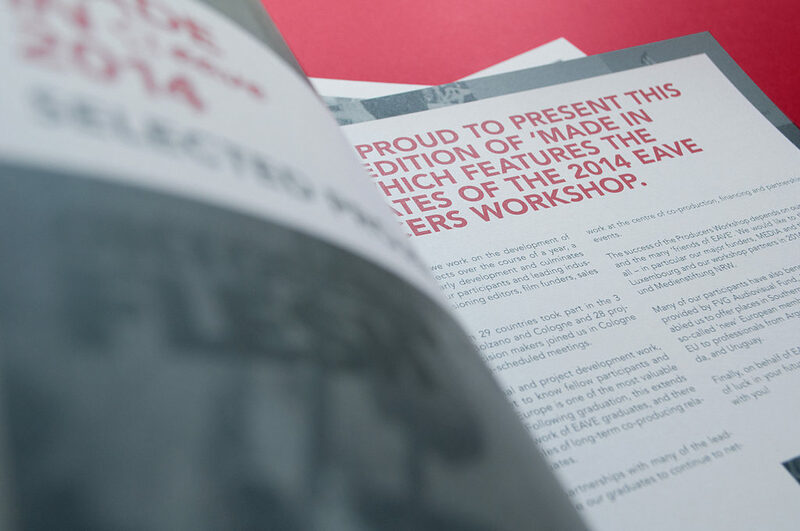 Once a year, the European Audiovisual Entrepreneurs – eave – hosts its Producers Workshop, from which a catalogue is also produced on a yearly basis. 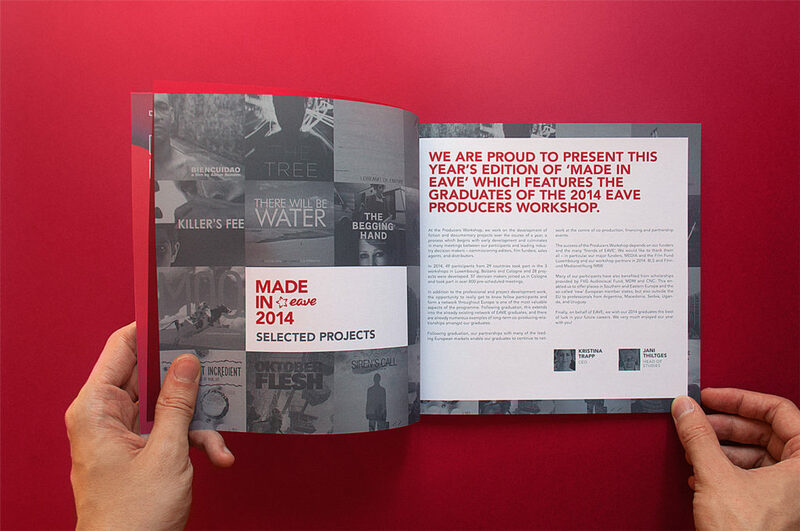 Besides being an in-depth memoir of the event, the catalogue also works as a marketing tool for the eave’s workshops. 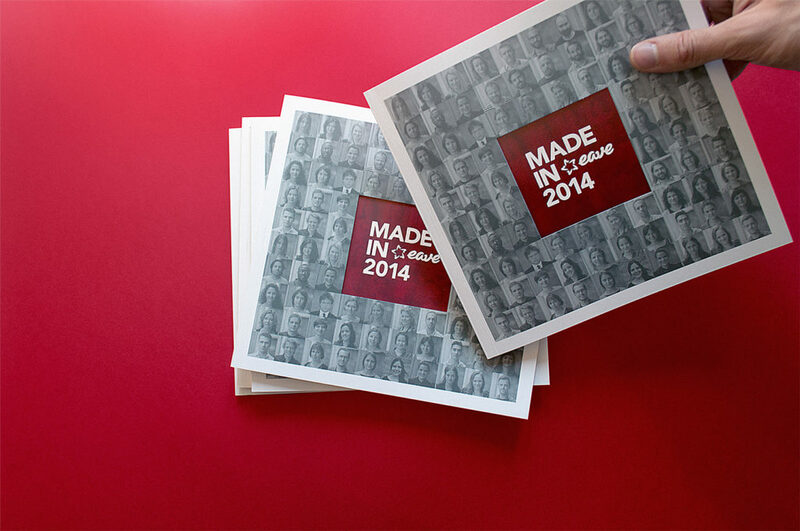 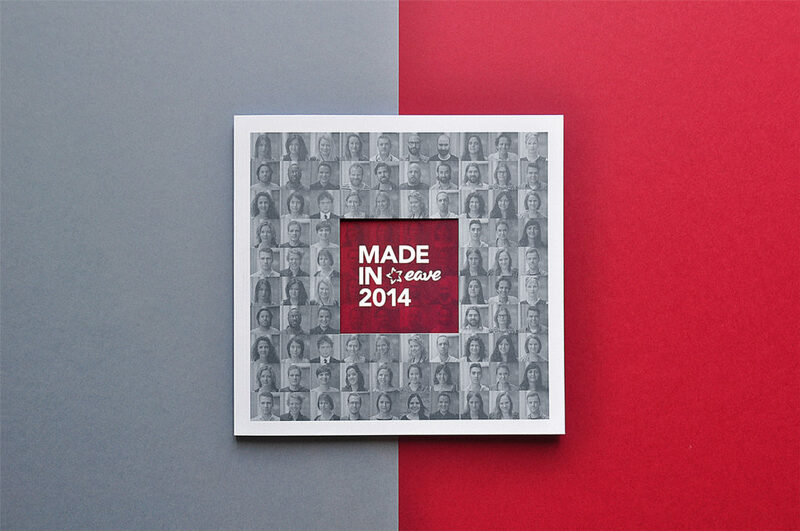 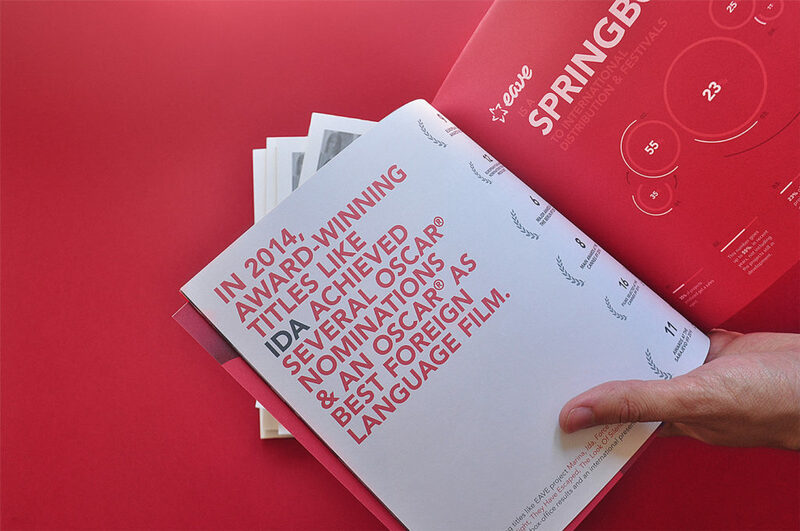 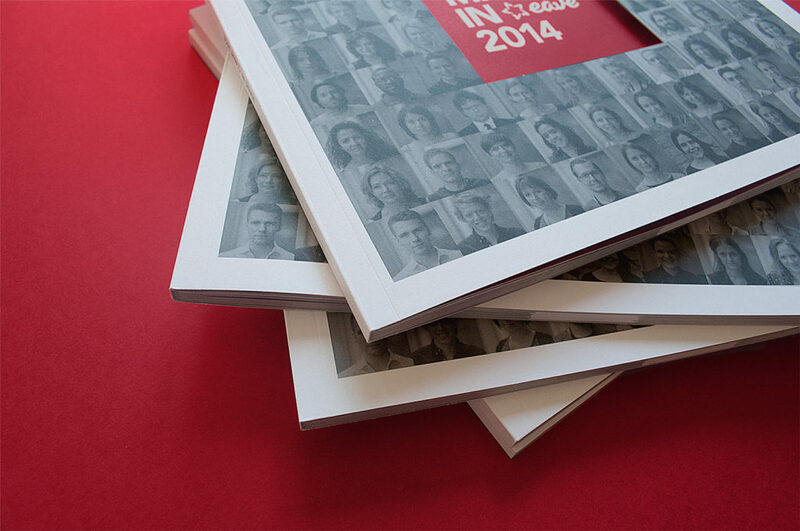 We were entrusted to re-design and produce their 2014 catalogue. 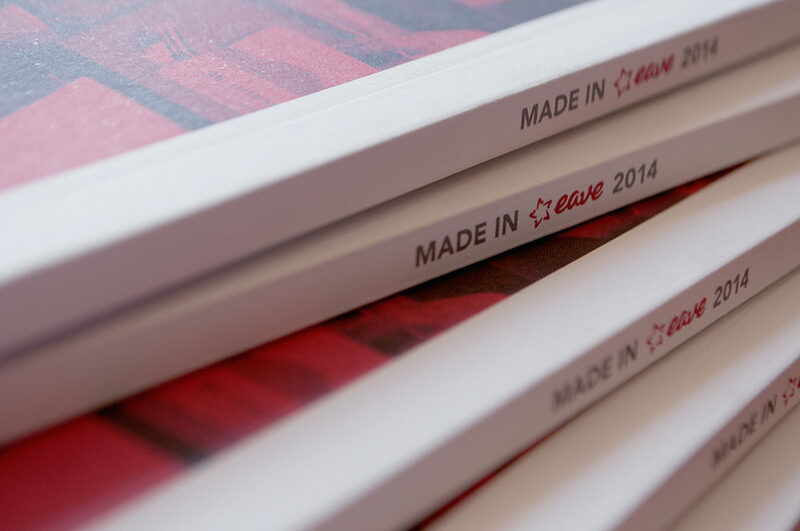 As we recently completed a complete brand overhaul for eave, we wanted to implement the all-new corporate look & feel to its full extent in the catalogue’s new design. 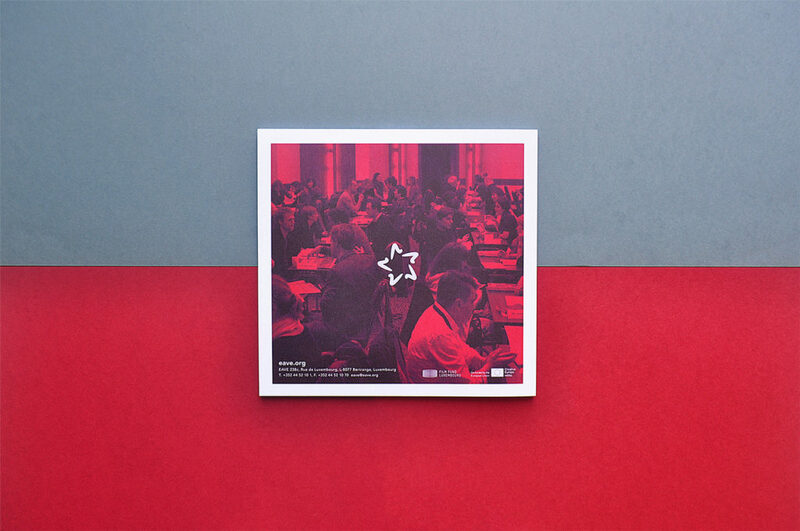 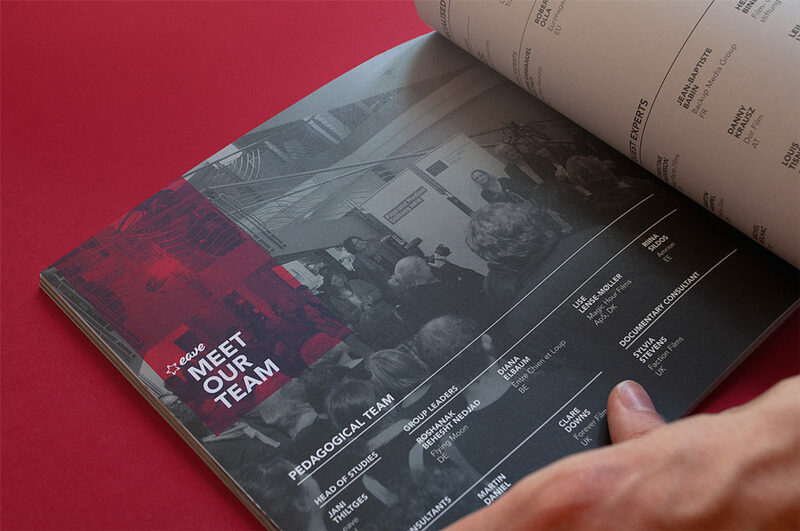 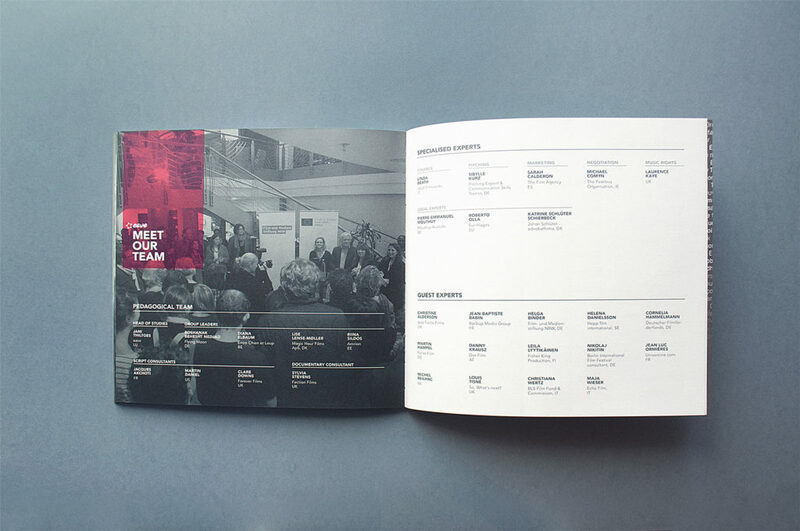 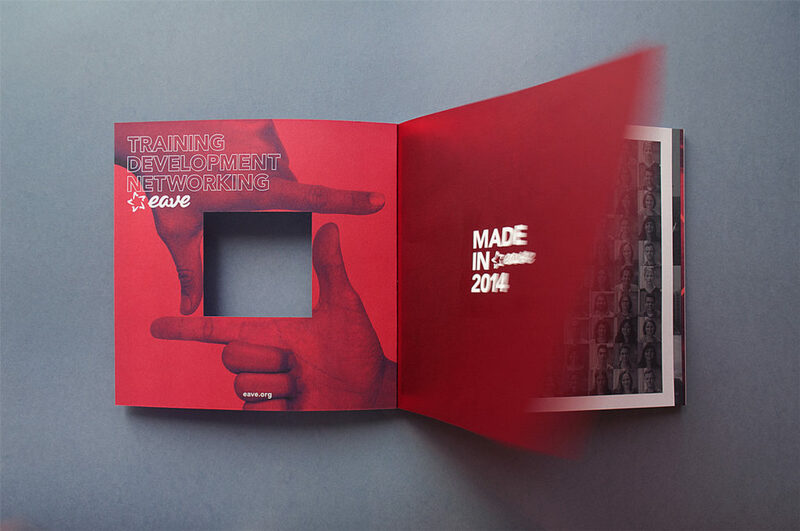 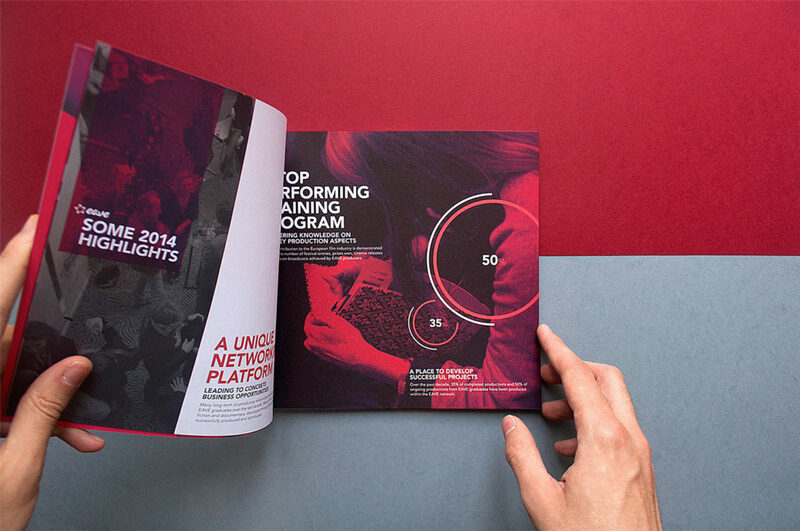 We also experimented with different editorial production materials and techniques such as stamping the logo on translucent red foil and producing a cover featuring that year’s attendees with a centred squared die that lets you see the interior of the catalogue.